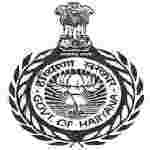 HSLSA recruitment 2018 notification has been released on official website www.hslsa.gov.in for the recruitment of total 04 (four) jobs out of which 01 (one) vacancy for Stenographer, 03 (three) for Clerk vacancies. Job seekers should apply on or before 15th January 2018. Educational Qualification: Graduate from a recognized University and speed of 100/20 words per minutes in English Shorthand/Typewirting for S.no-1. Graduation Degree or equivalent for S.no – 2. Age Limit: The age of candidate should be between 18 to 42 years as on 15.01.2018. Interested and eligible aspirants should apply in applications on plain paper with recent photograph of candidate affixed along with attested copies of the relevant certificates sent to the Secretary, District Legal Services Authority, Bhiwani on or before 15.01.2018.